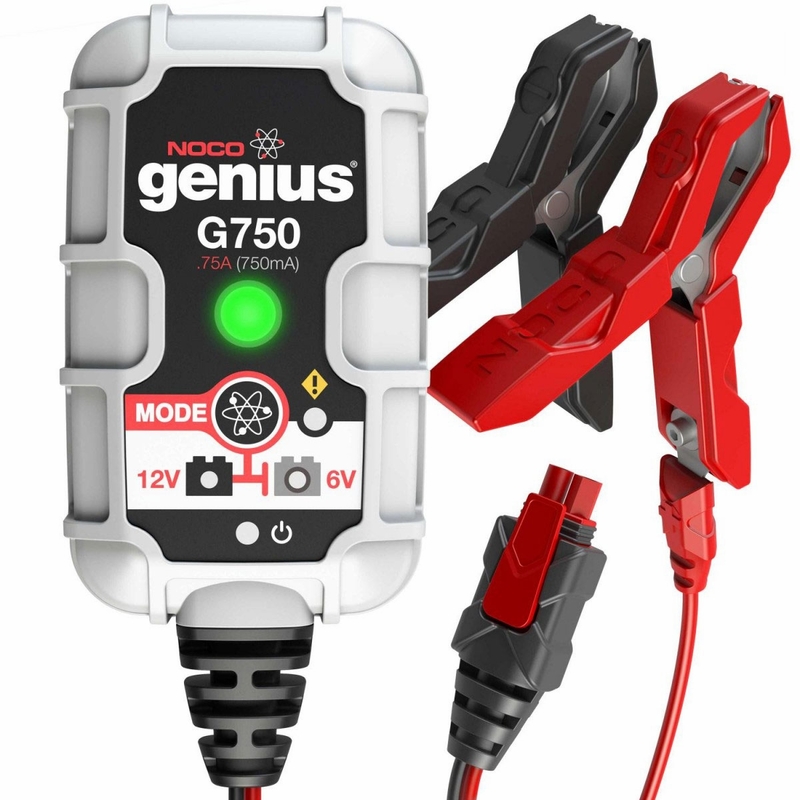 A smart, 5-step, fully automatic switch-mode battery charger and maintainer. 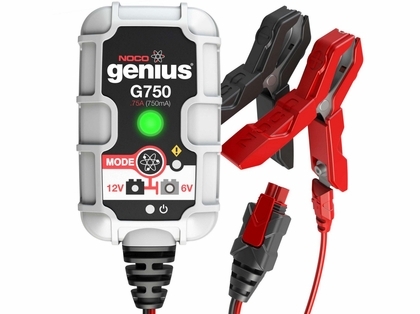 The NOCO G750 Genius .75 Amp 6V/12V 750mA UltraSafe Battery Charger and Maintainer monitors battery activity for safe and efficient charging without any overcharge and complete with a built-in battery desulfator to rejuvenate underperforming batteries.The G750 is a portable automatic battery charger and maintainer for both 6V and 12V lead-acid batteries. 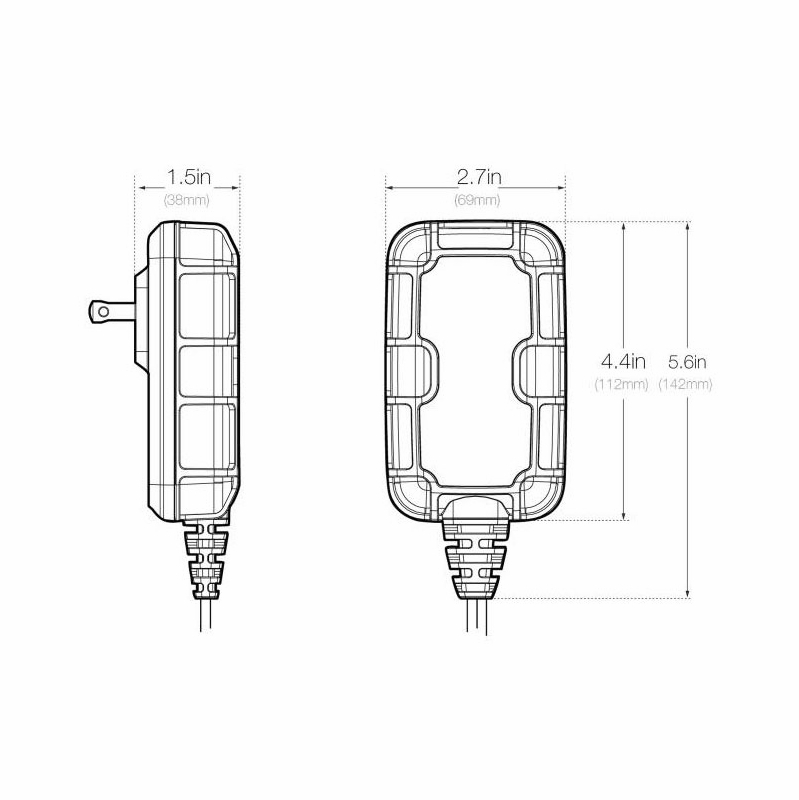 Designed for charging a Motorcycle, ATV, Snowmobile, Personal Watercraft, Lawn Mower and much more. 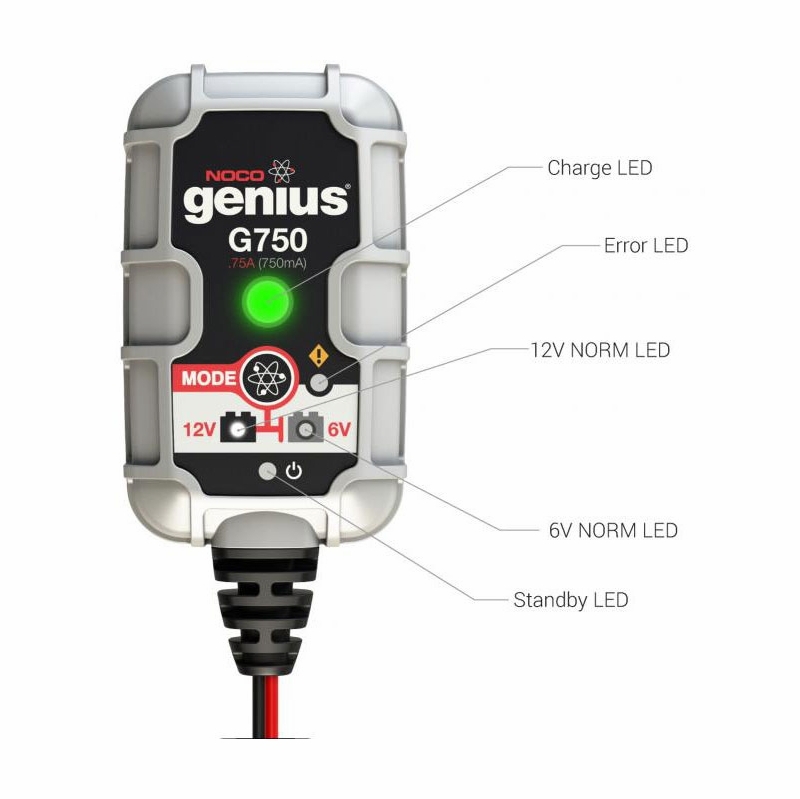 It also can be used as a battery maintainer to keep a Car, Boat, RV, and deep-cycle batteries fully charged. Powered by NOCO's VosFX Processor: The VosFX Processor is a revolutionary smart processor utilizing sophisticated levels of intelligence to alter the charge process. Battery Capacity Range Ideal for Batteries up to 30 Amp-Hours. Suitable for Maintaining All Battery Sizes.